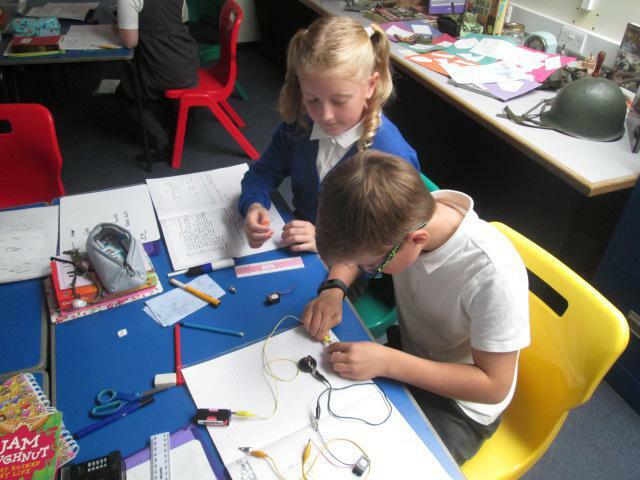 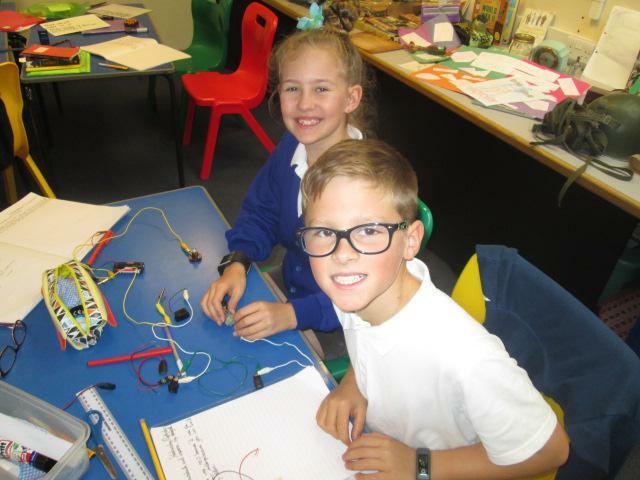 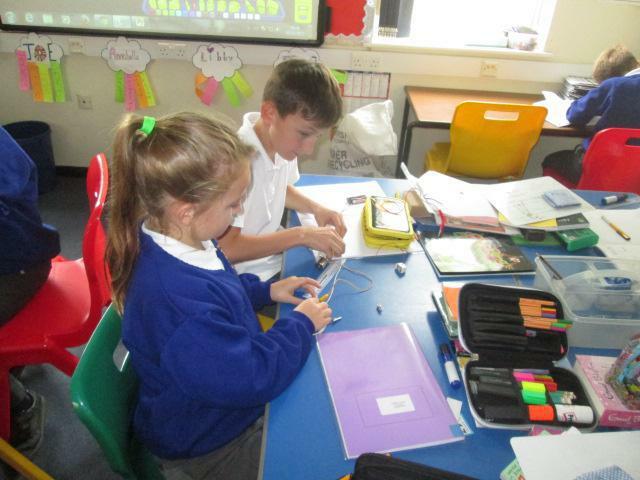 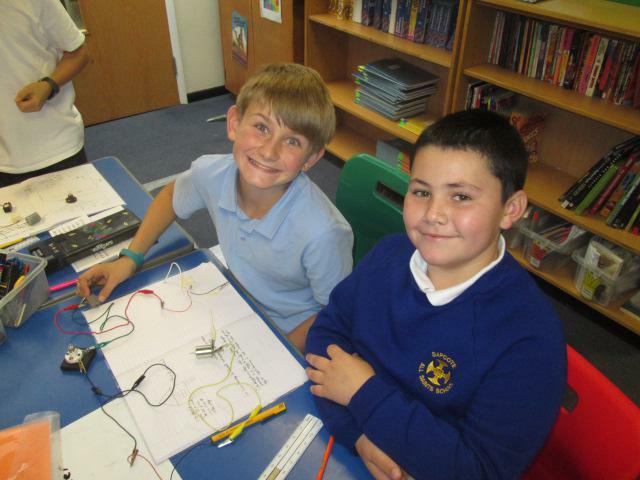 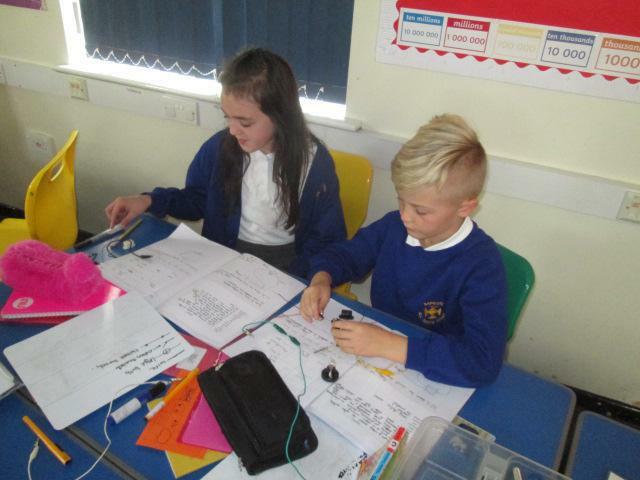 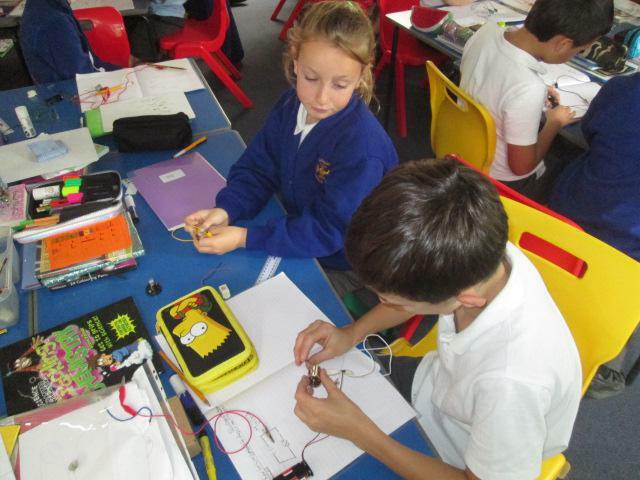 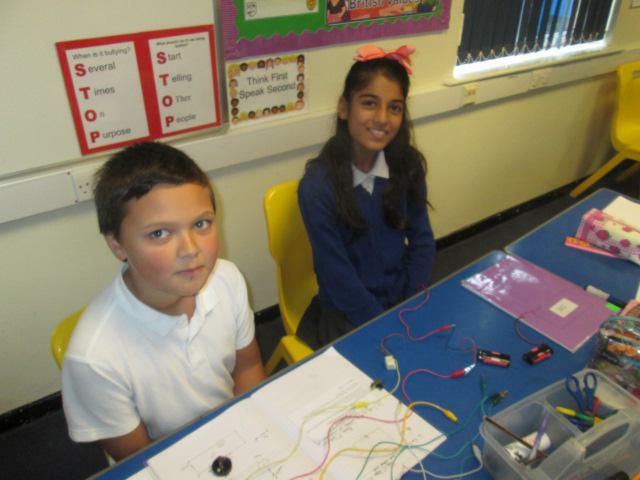 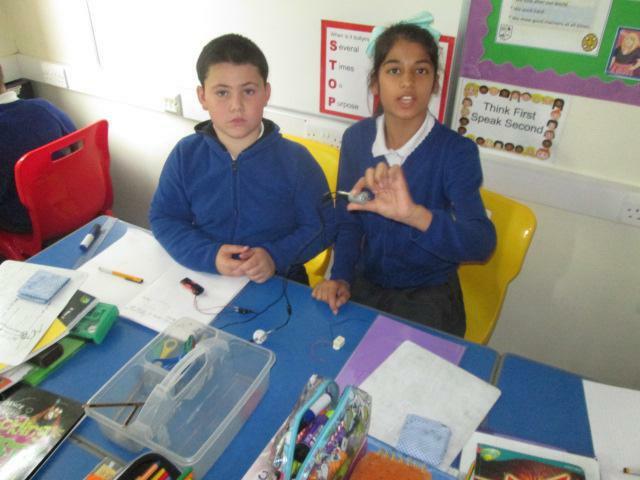 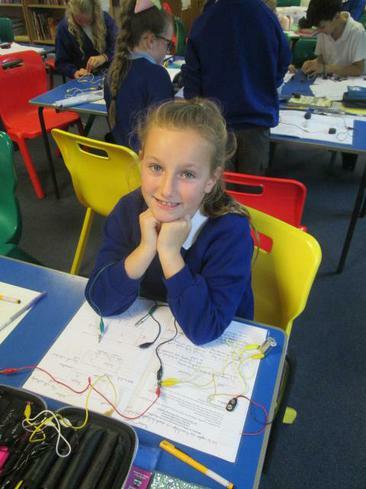 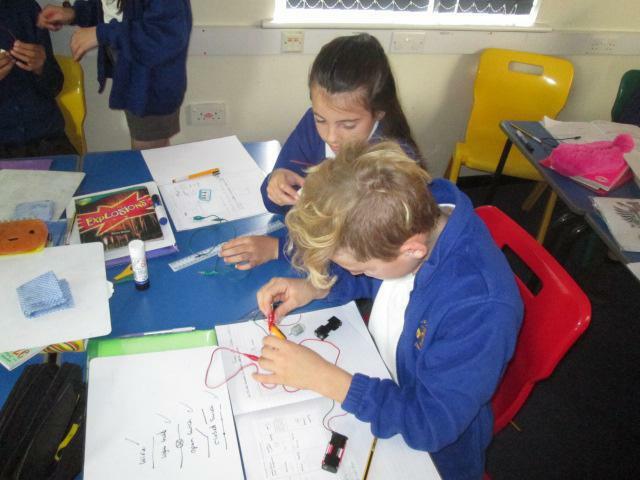 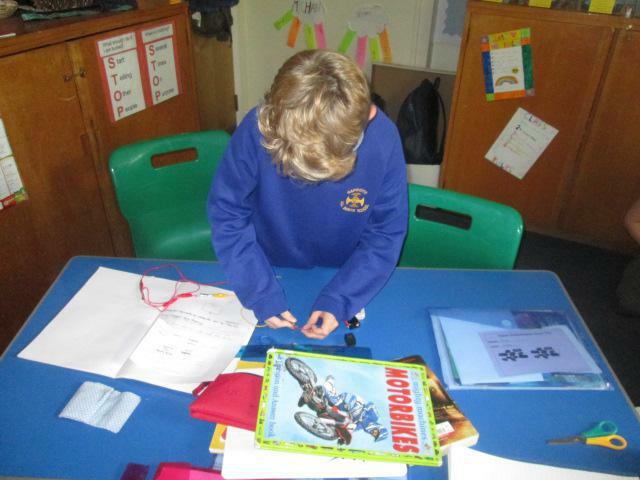 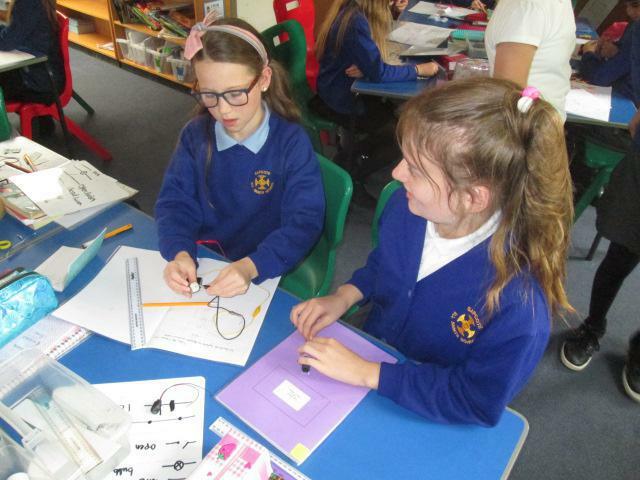 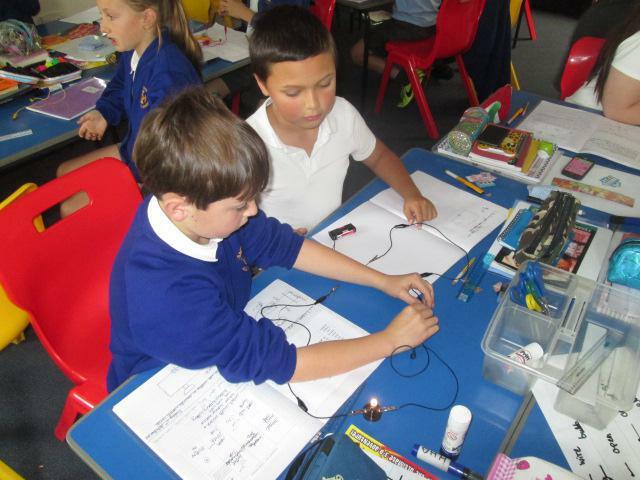 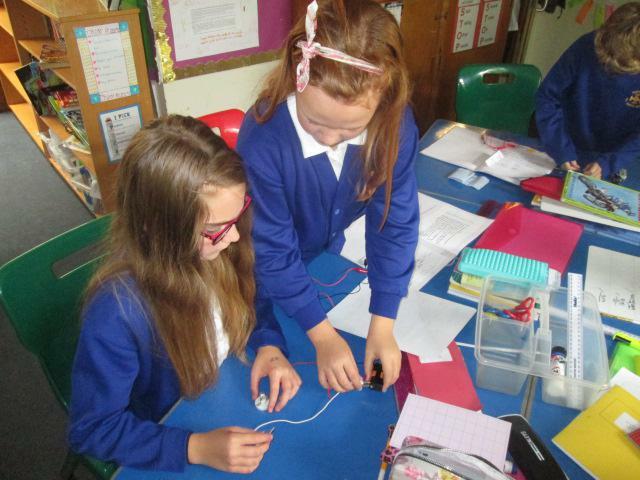 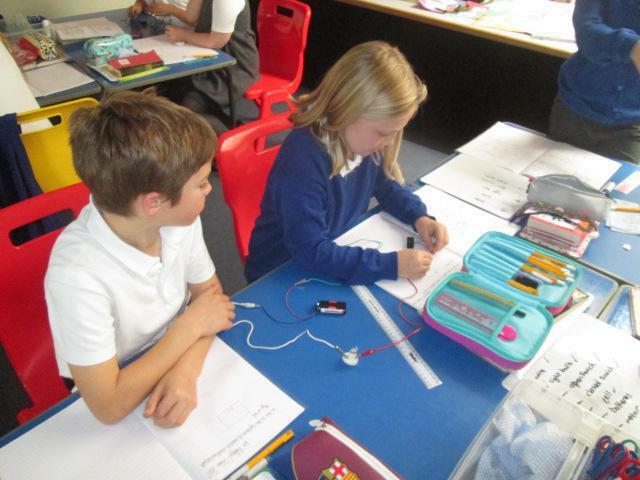 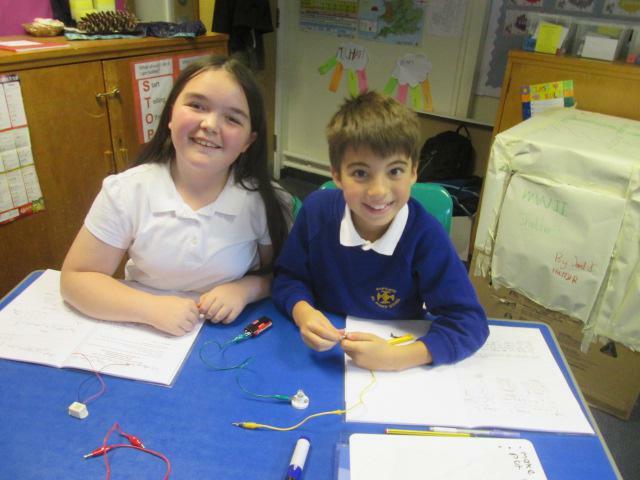 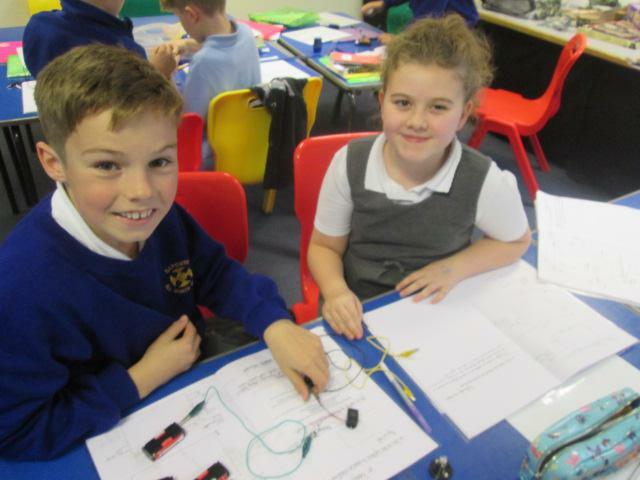 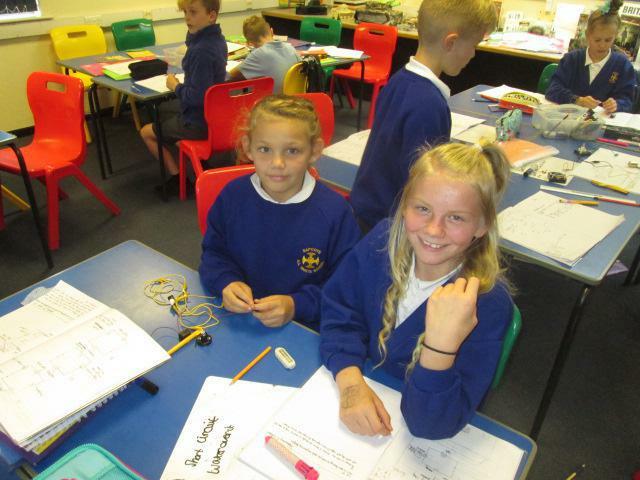 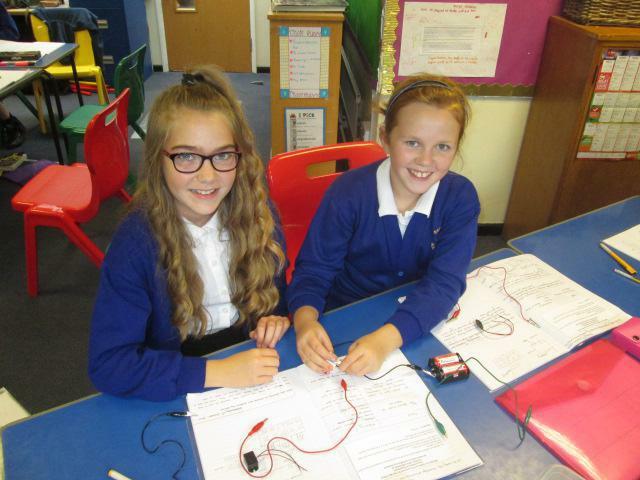 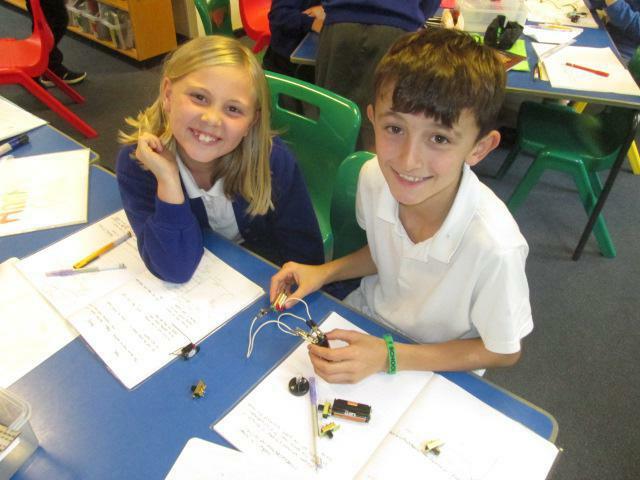 This term Year 6 spent some time looking at how Electrical circuits work. 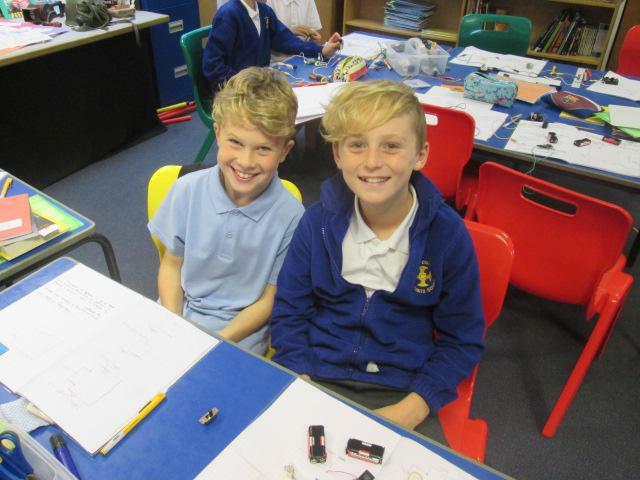 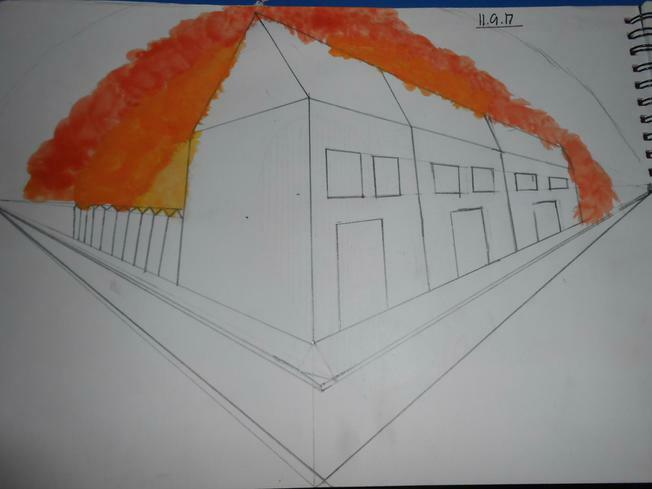 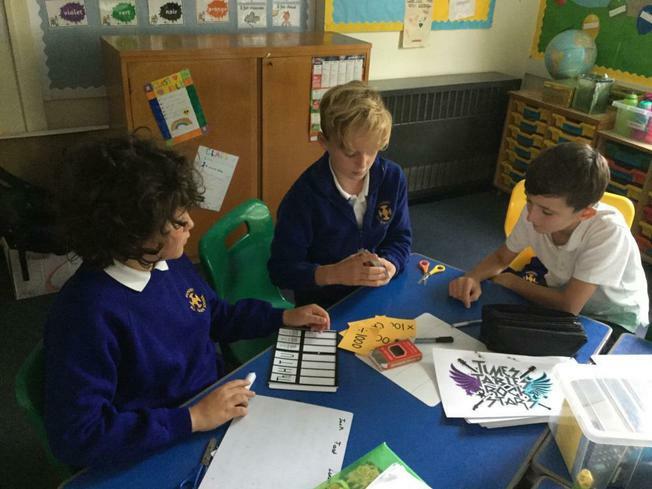 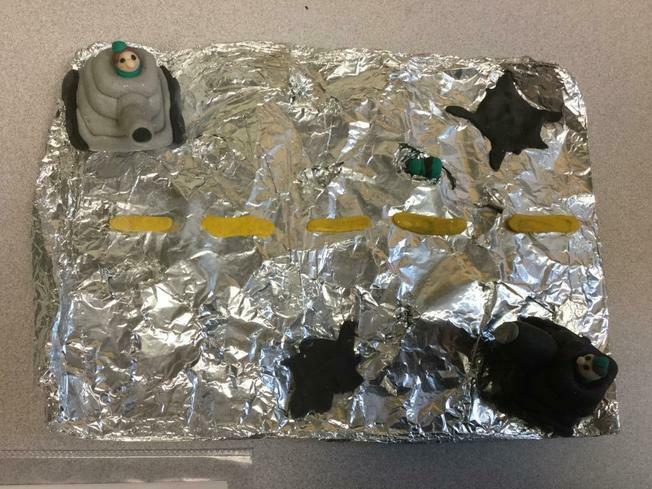 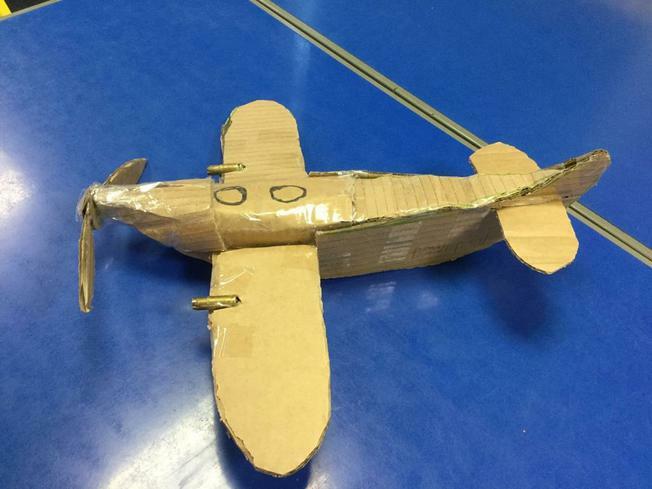 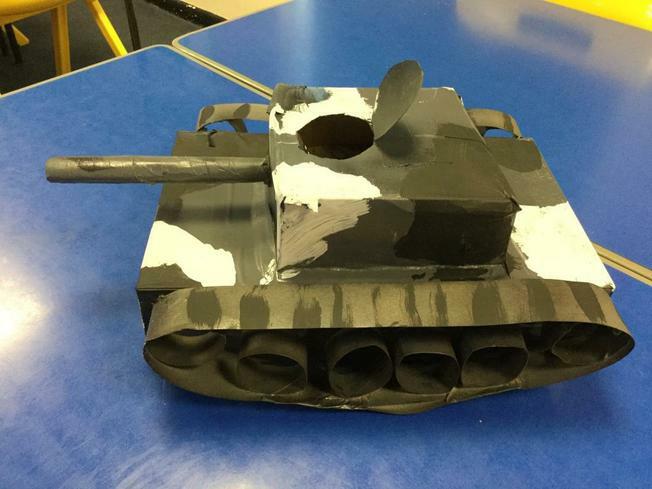 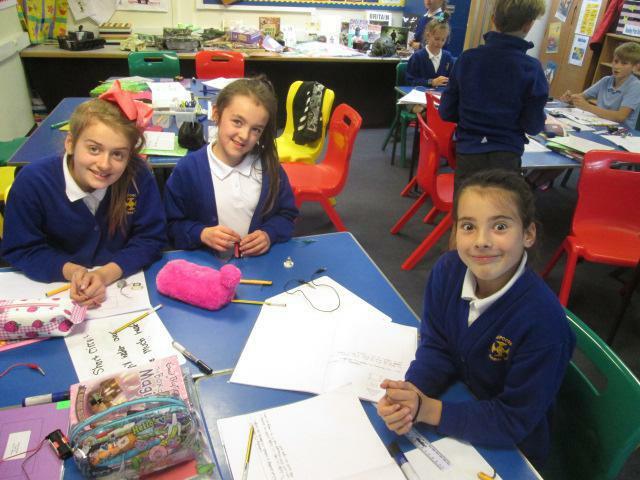 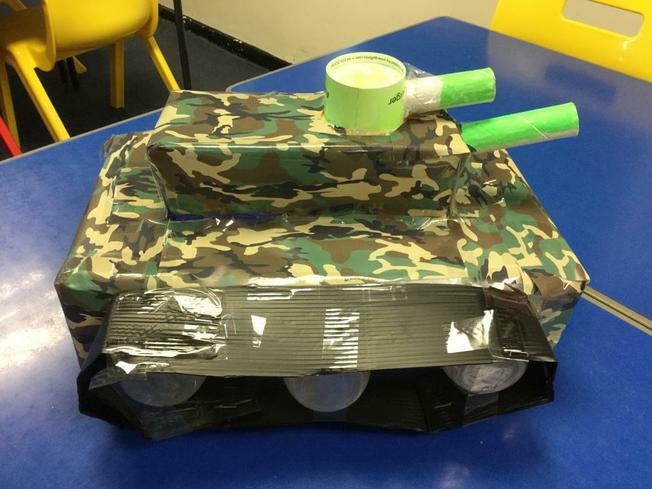 To test their knowledge, they had a day of designing Air Raid warning systems. 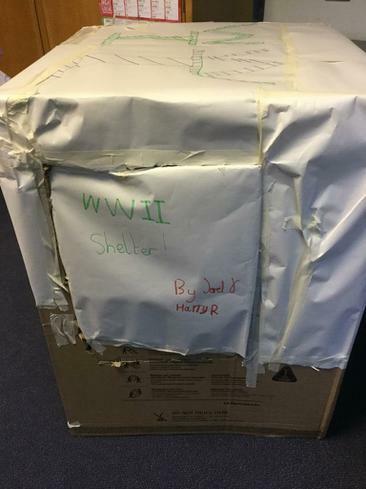 Following a brief from the 'Ministry of Defence', they had to design a simple warning system that could work anywhere and for anyone. 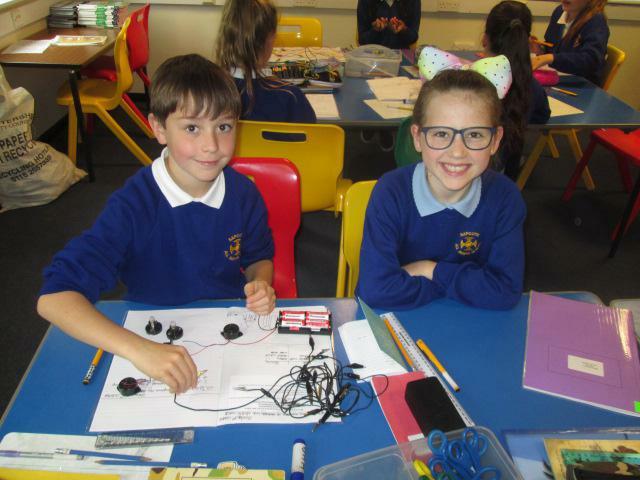 It was a challenge, but they rose to that challenge and did well! 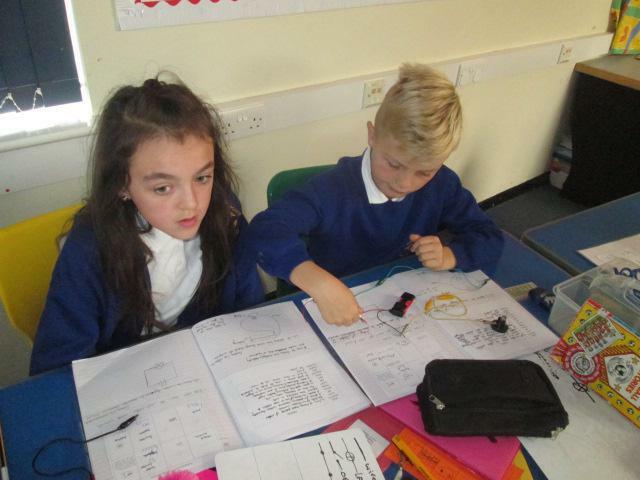 The homework standard this half-term has been incredible! 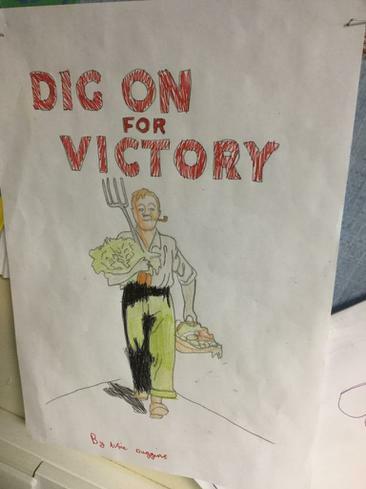 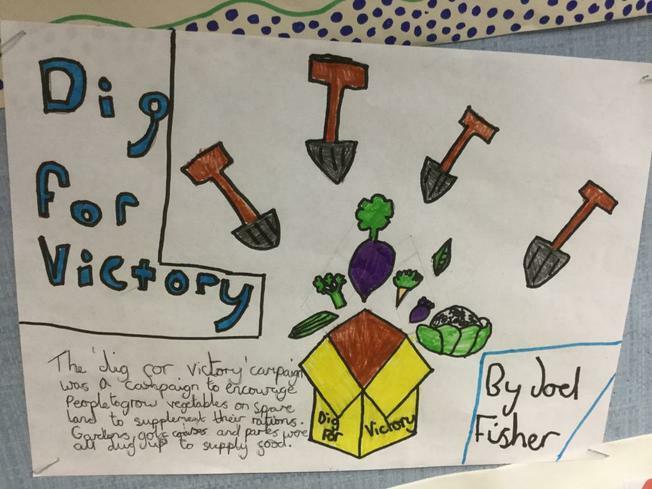 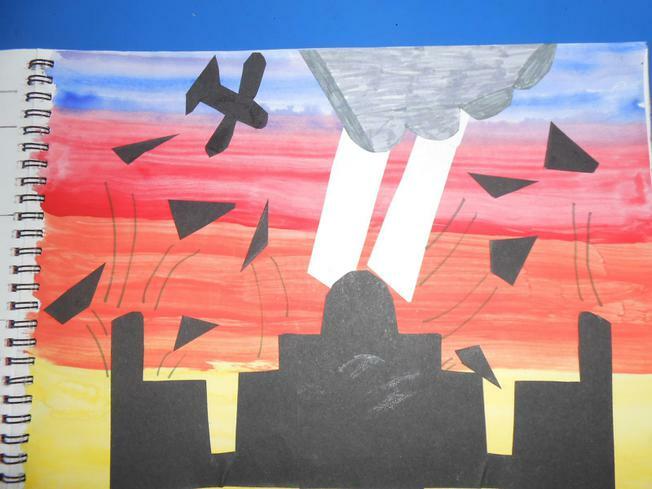 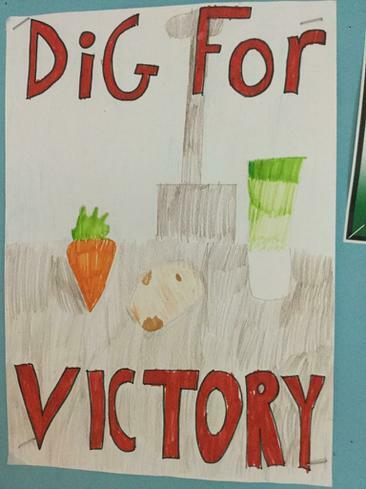 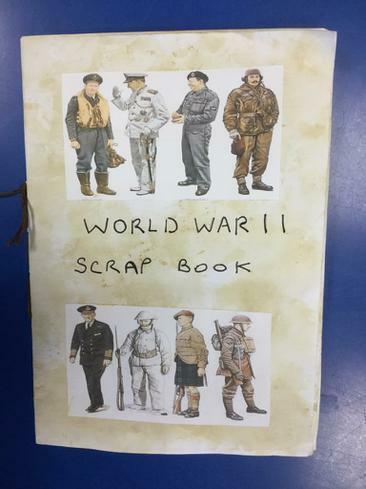 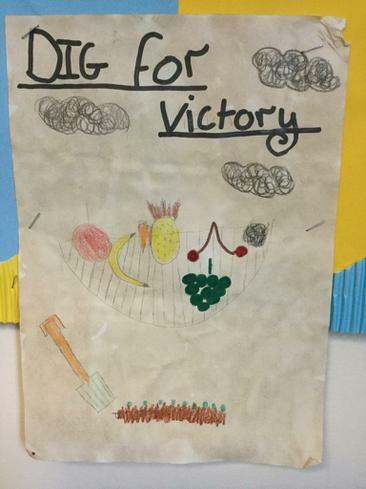 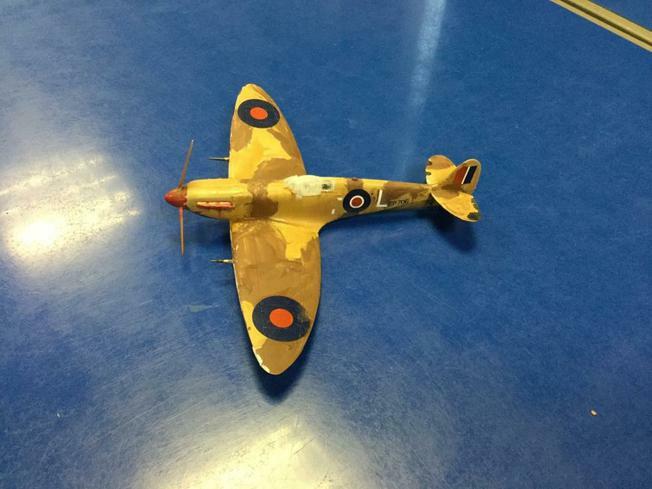 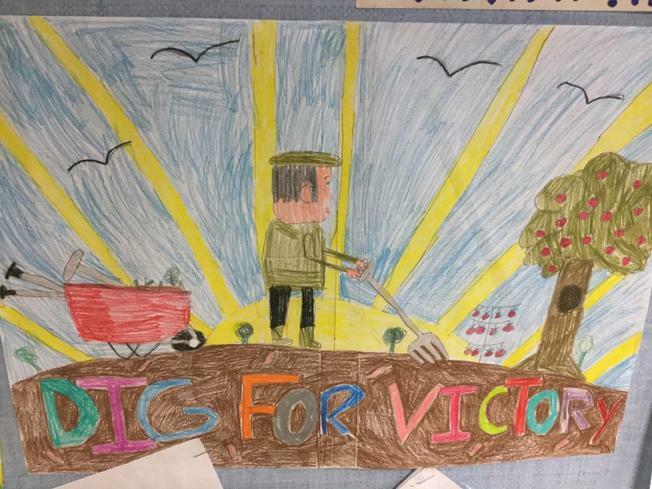 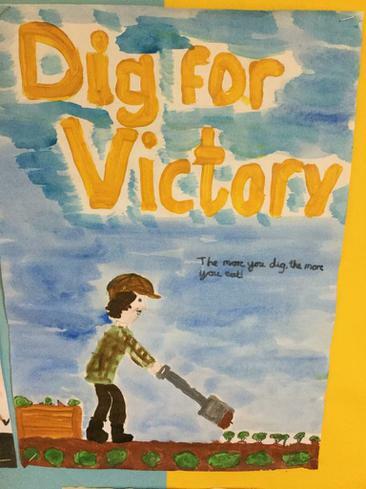 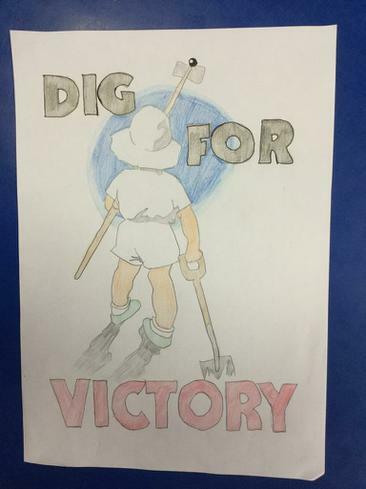 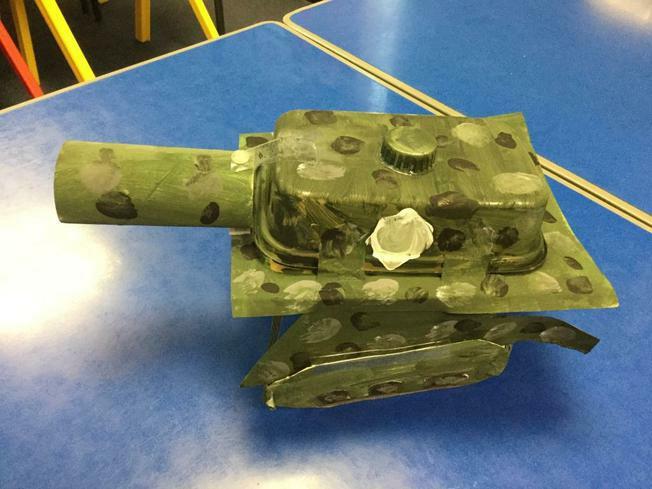 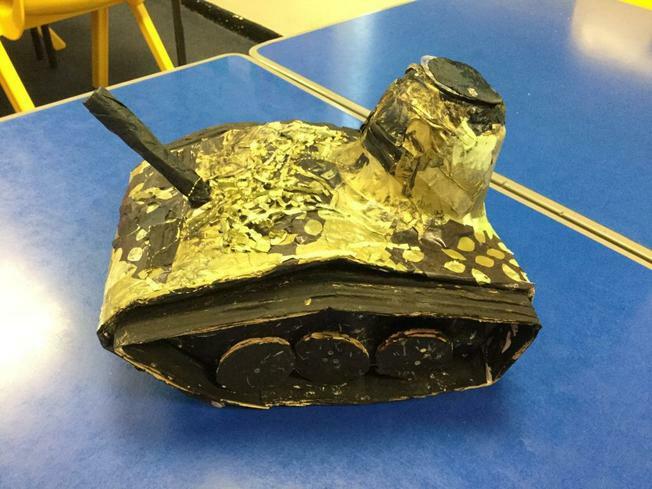 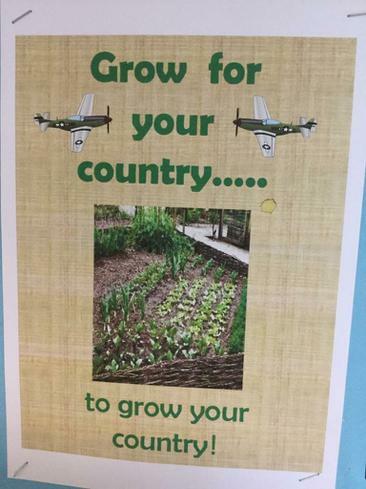 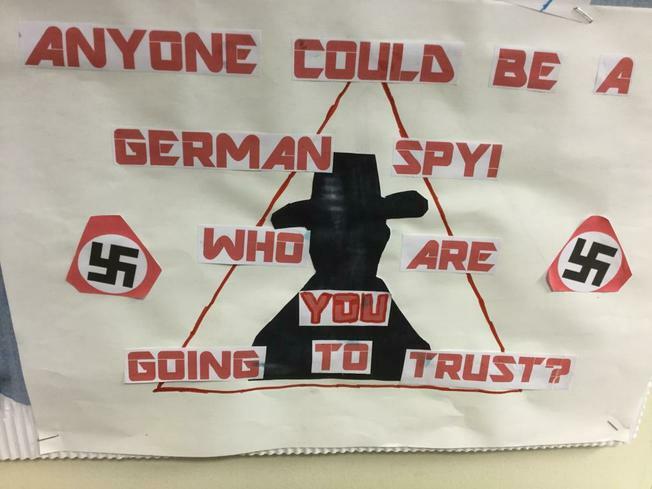 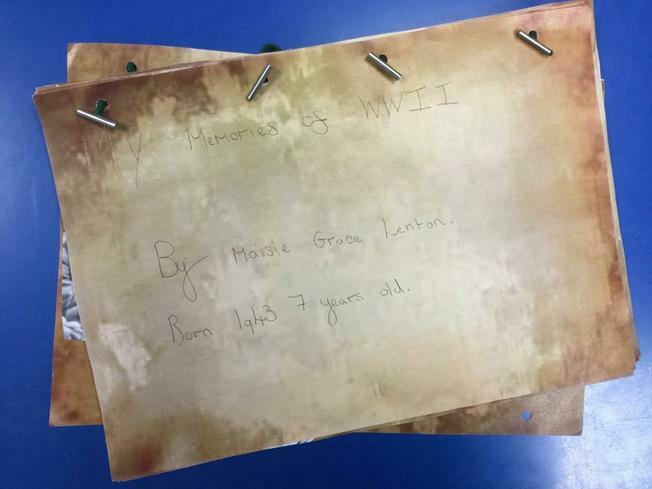 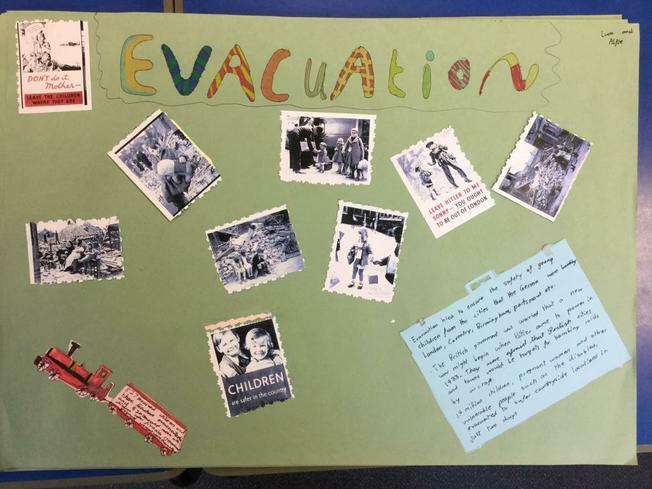 We have had models, posters, scrap books, artefacts, old photos and our favourite outcome, yummy World War II food! 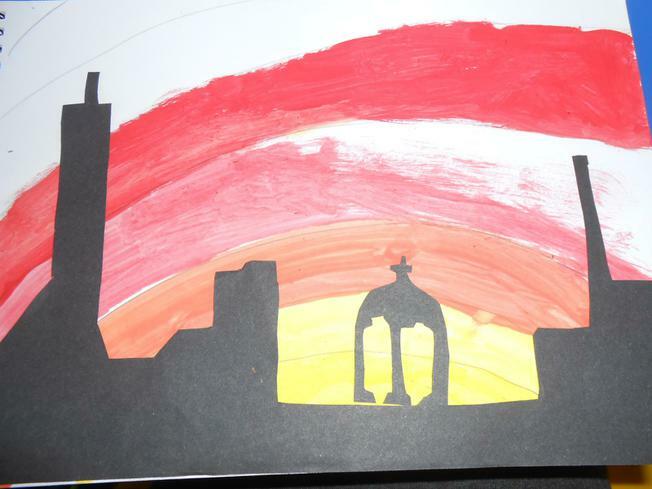 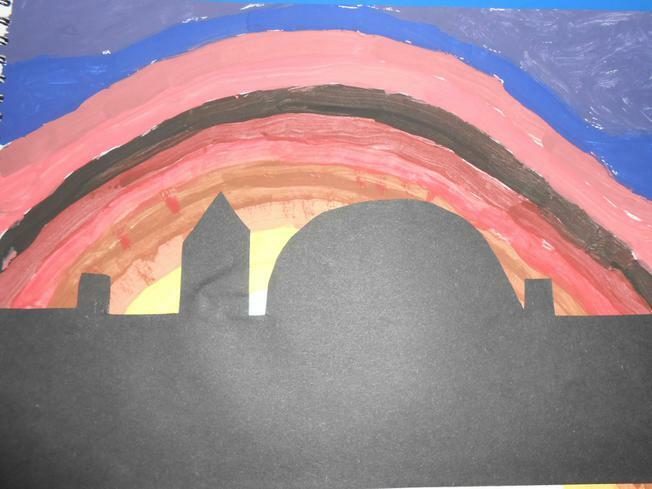 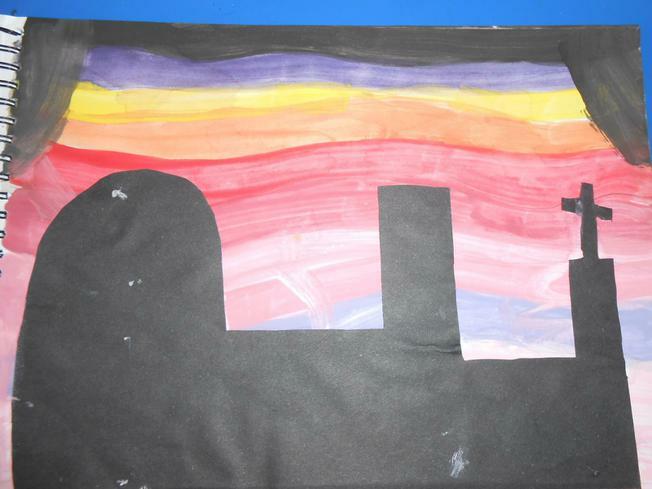 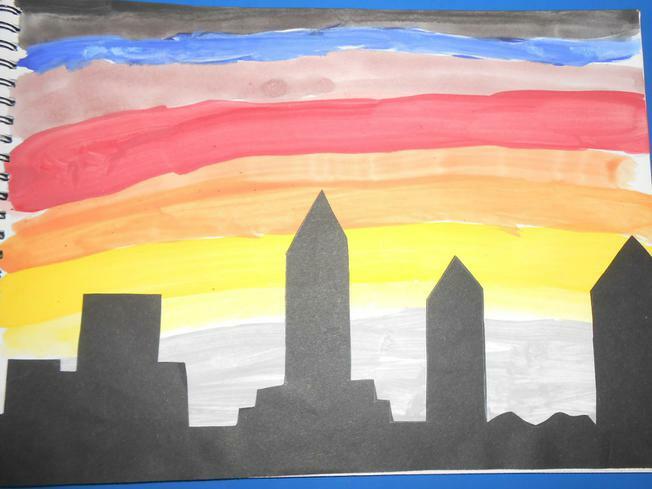 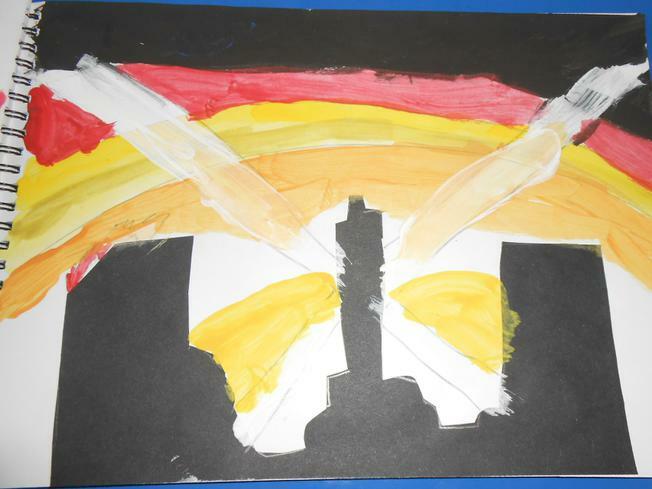 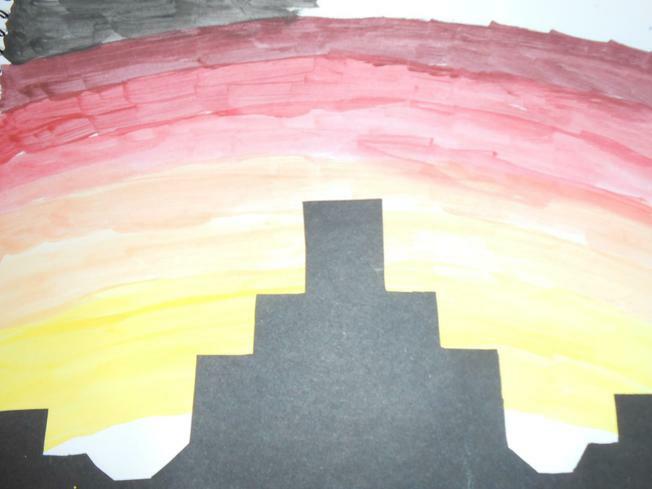 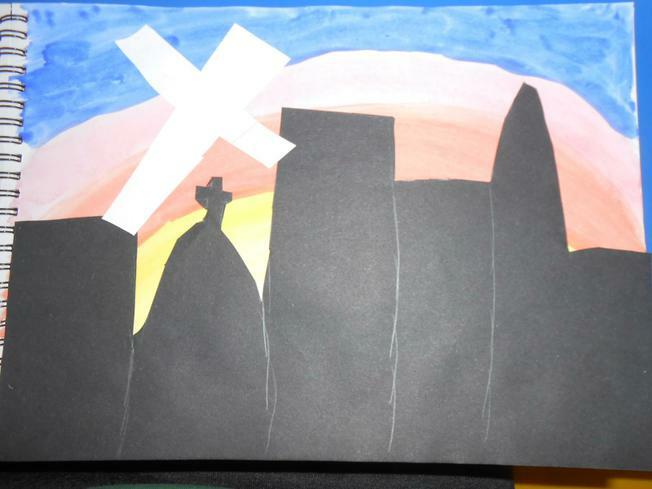 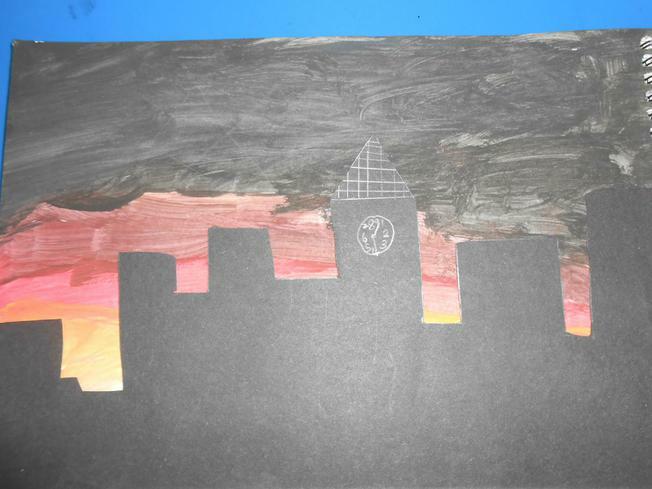 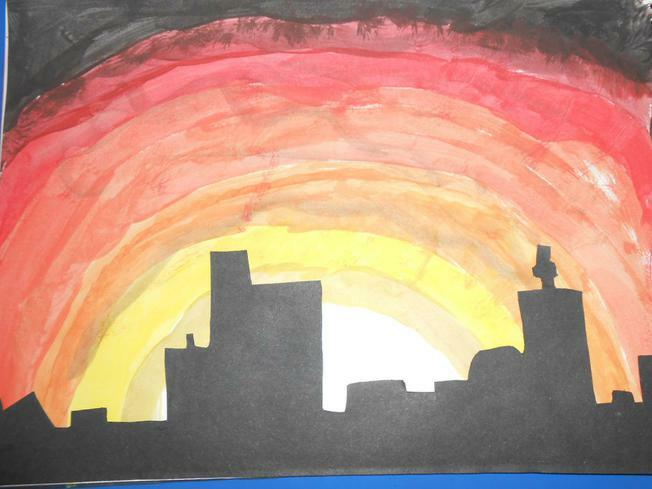 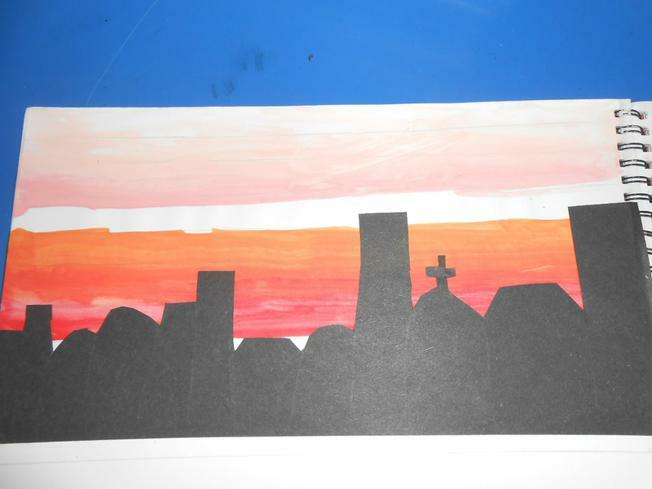 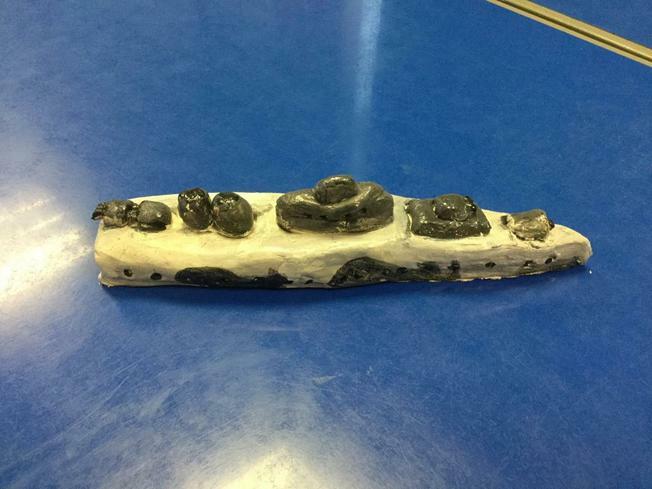 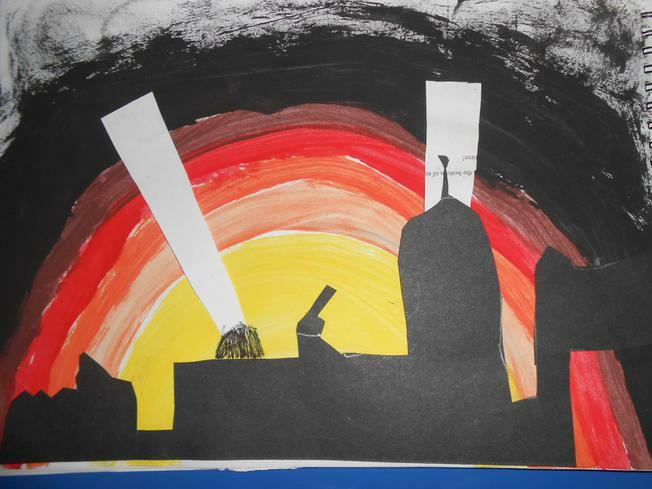 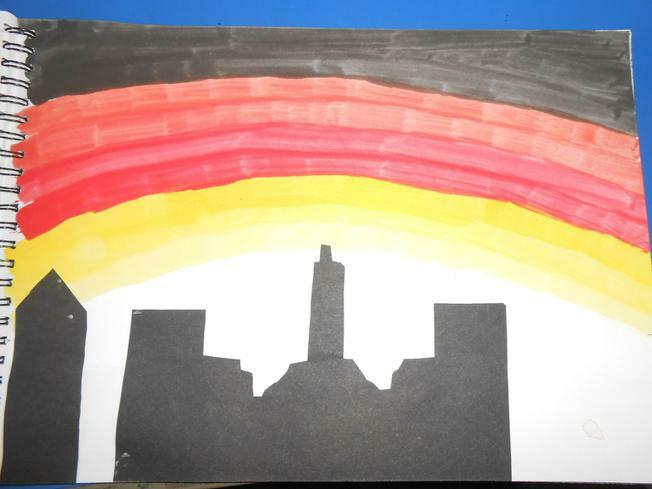 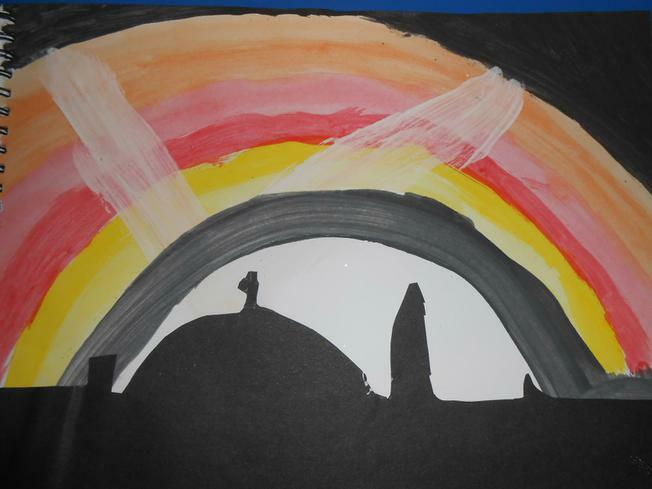 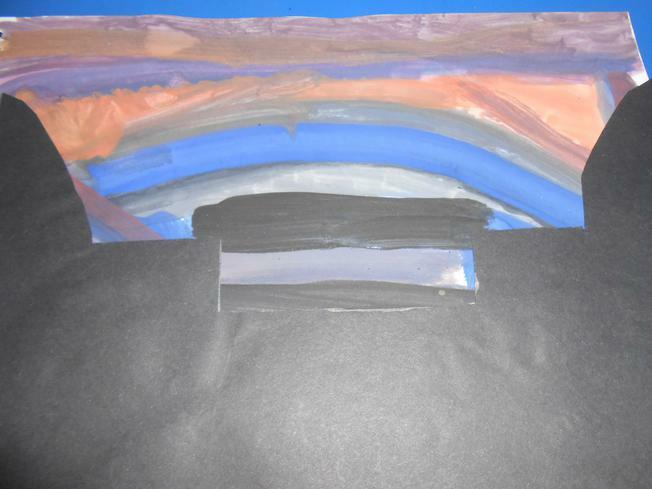 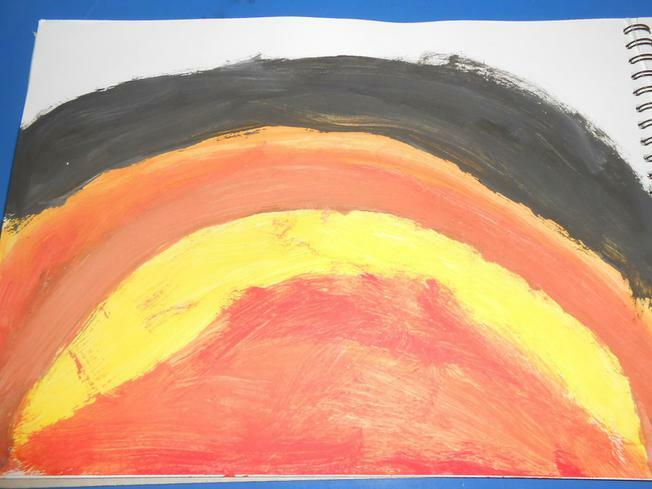 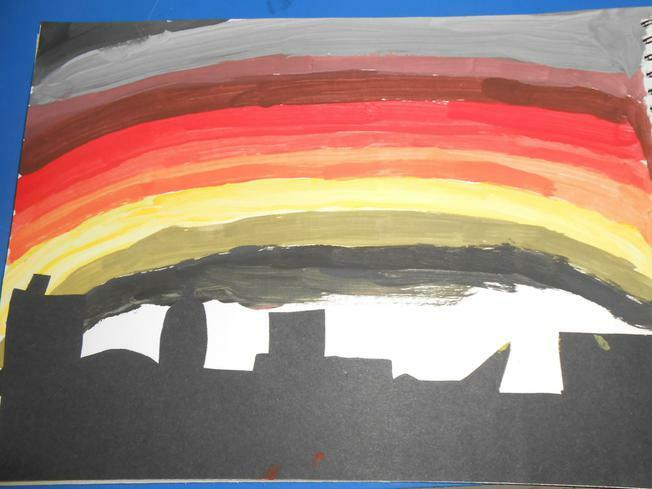 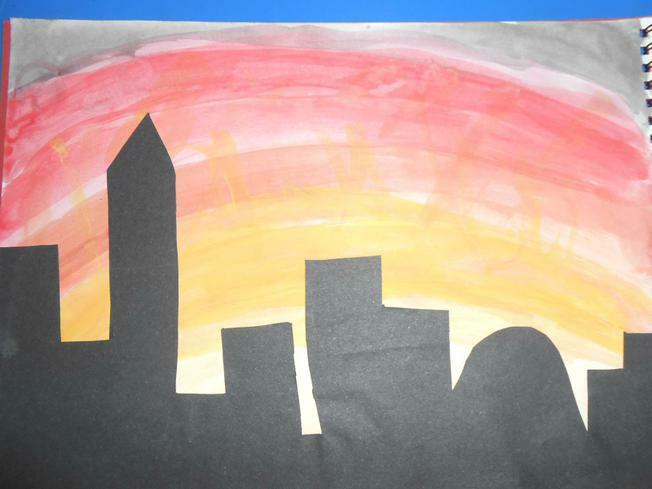 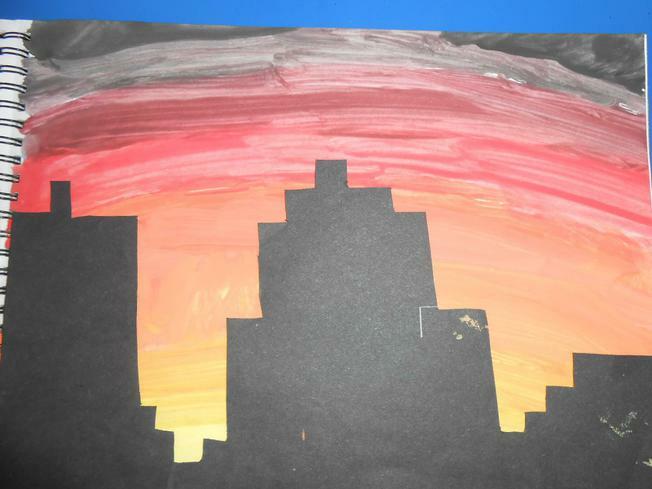 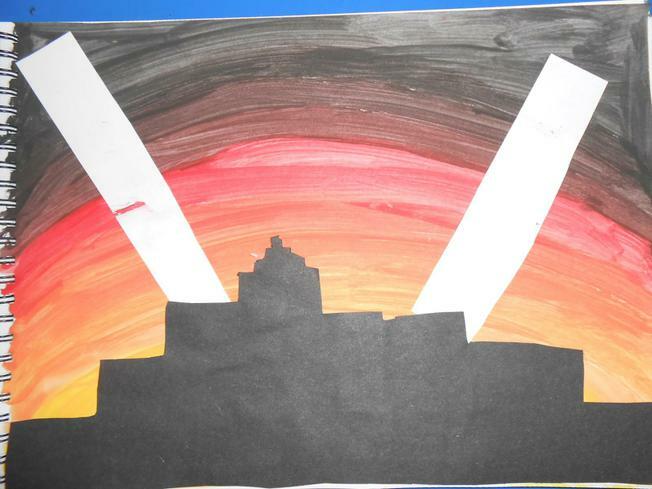 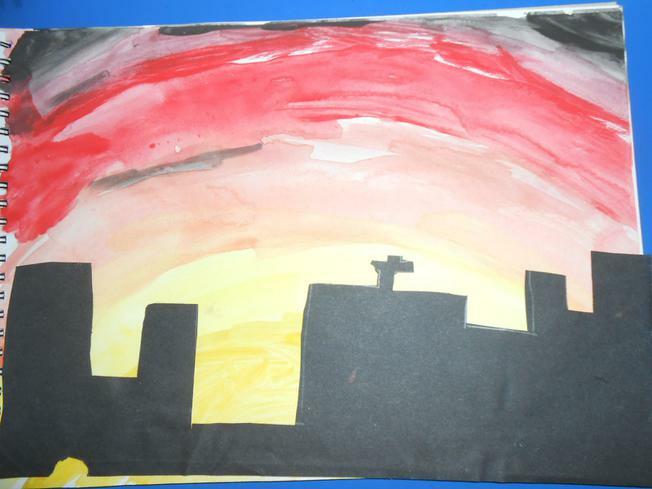 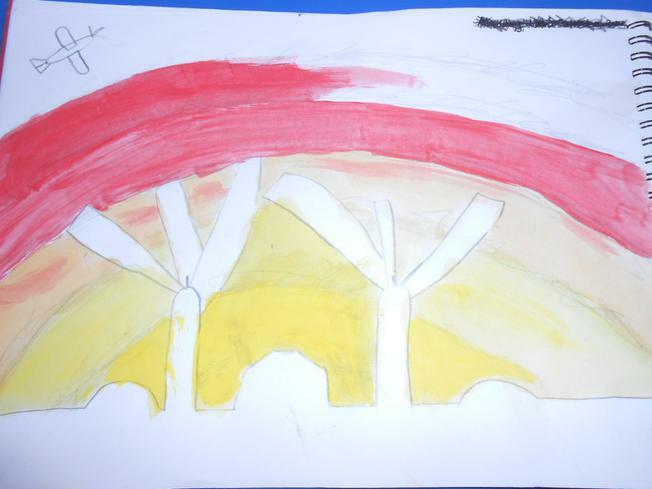 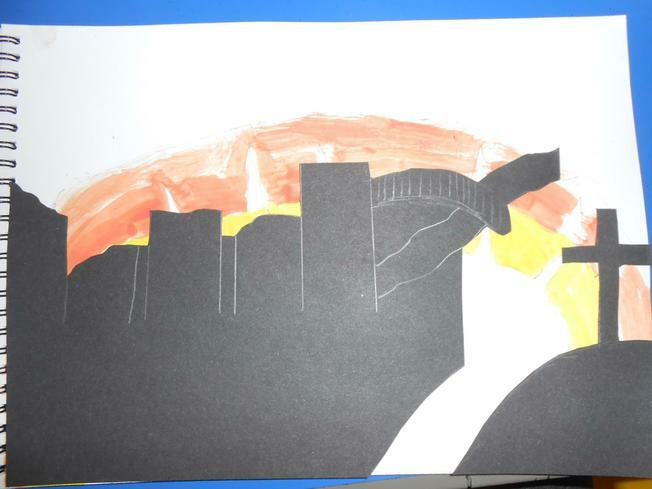 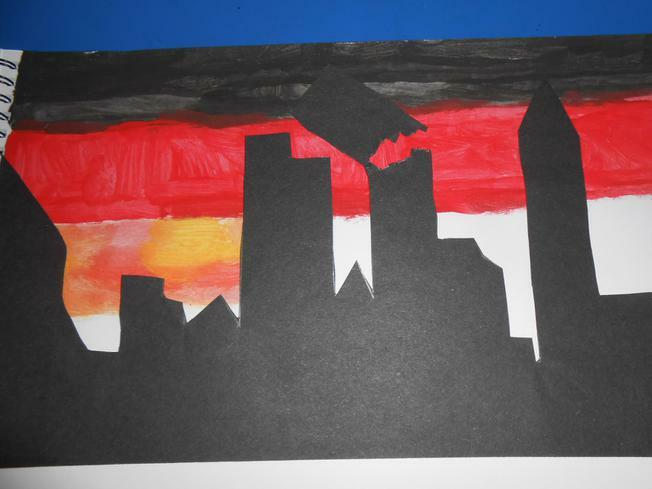 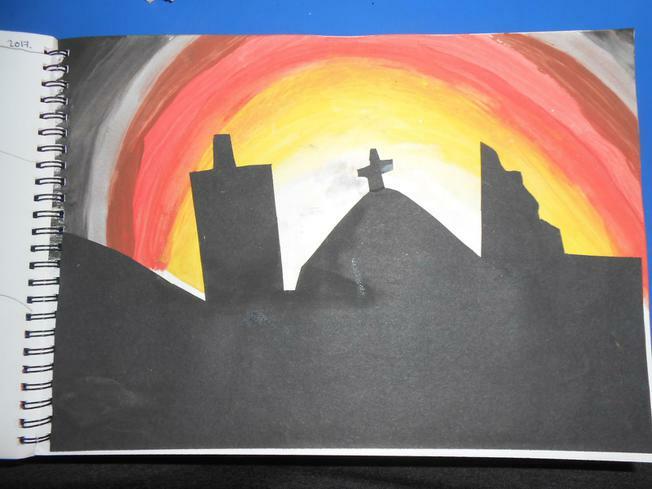 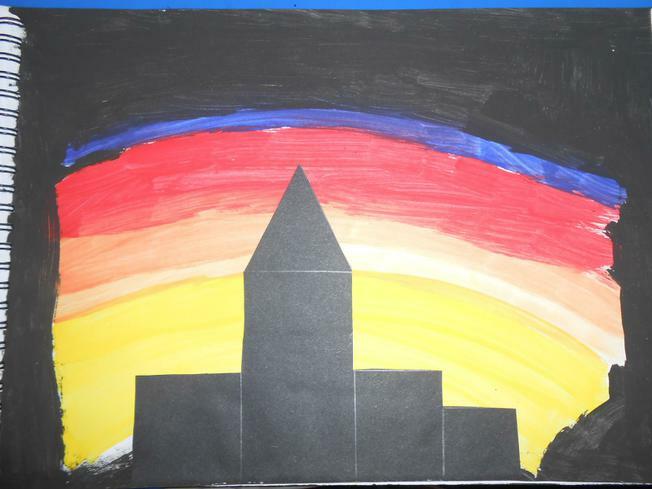 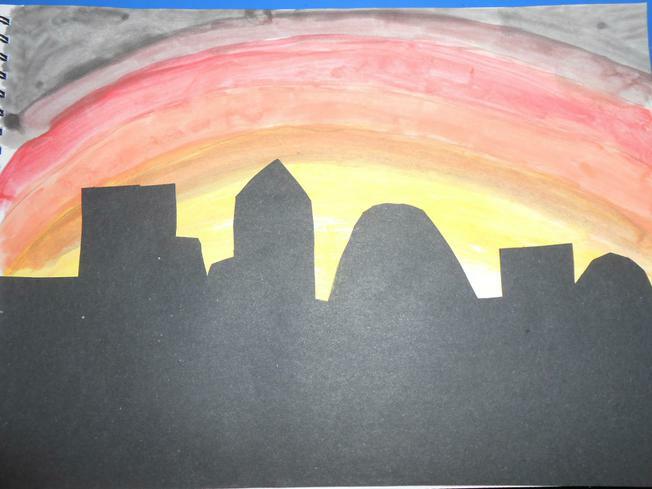 A fantastic effort, Willow class; well done! 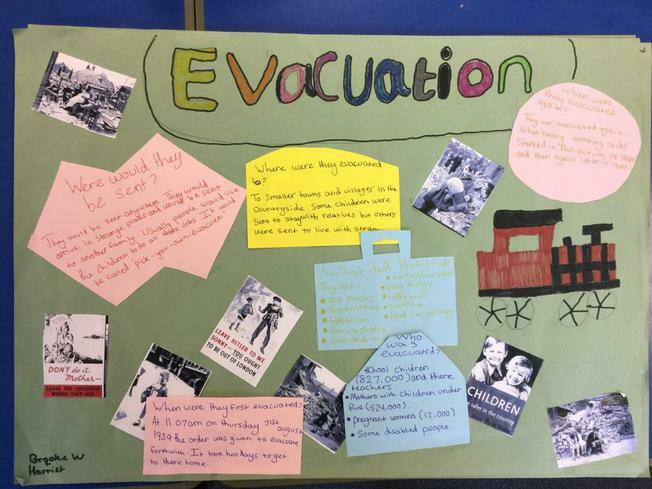 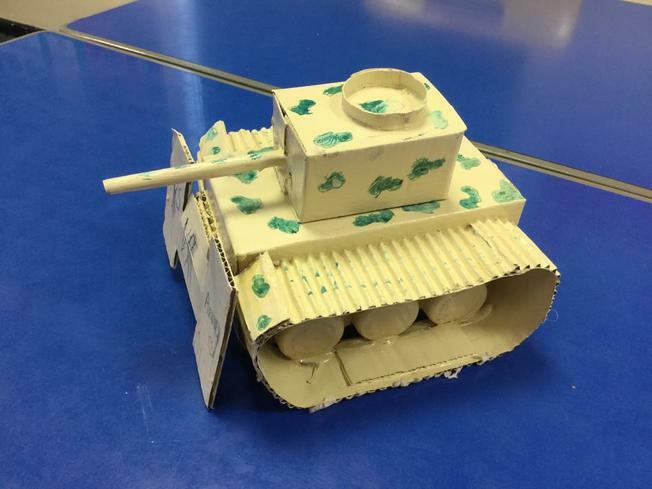 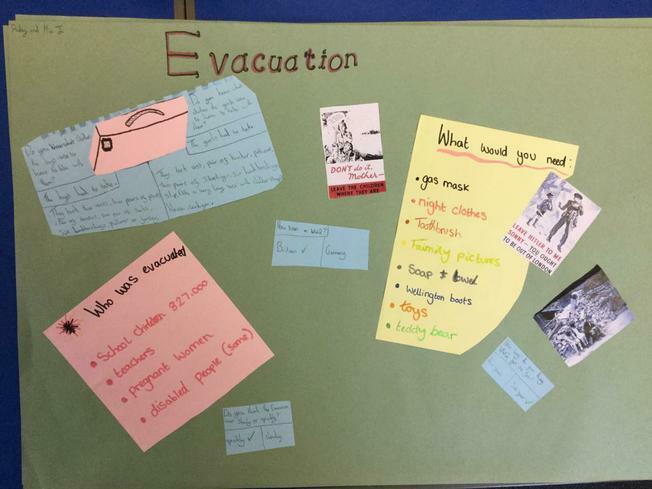 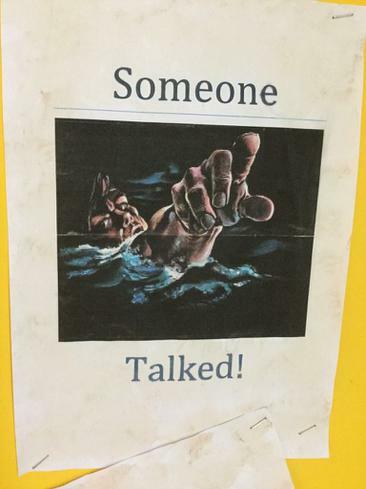 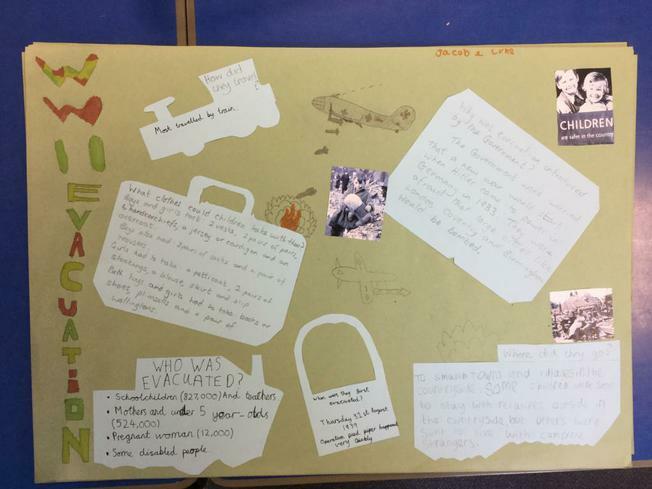 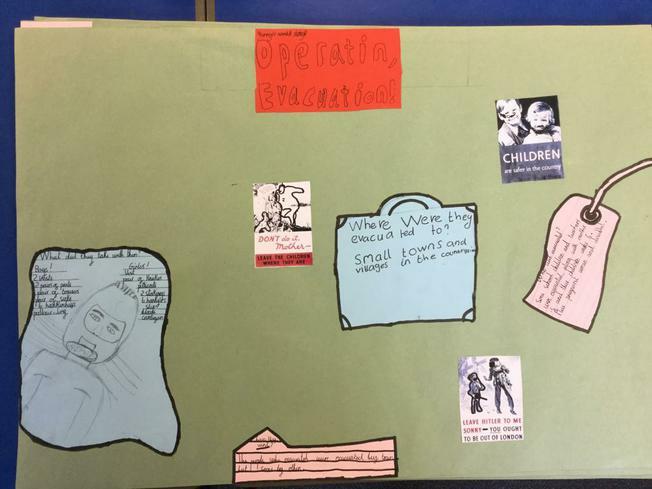 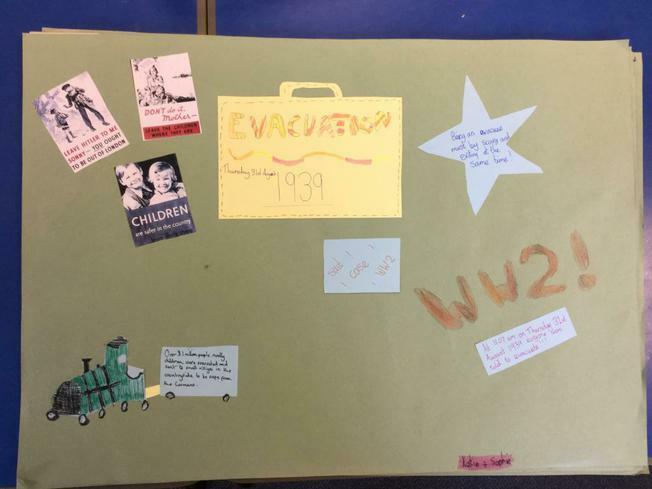 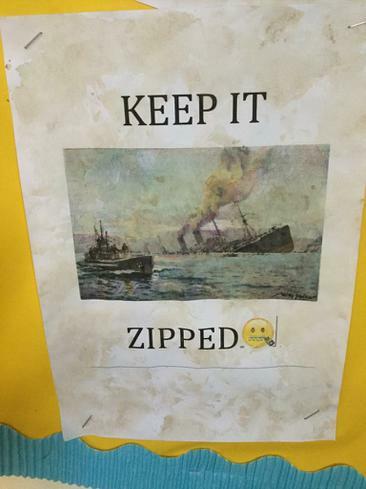 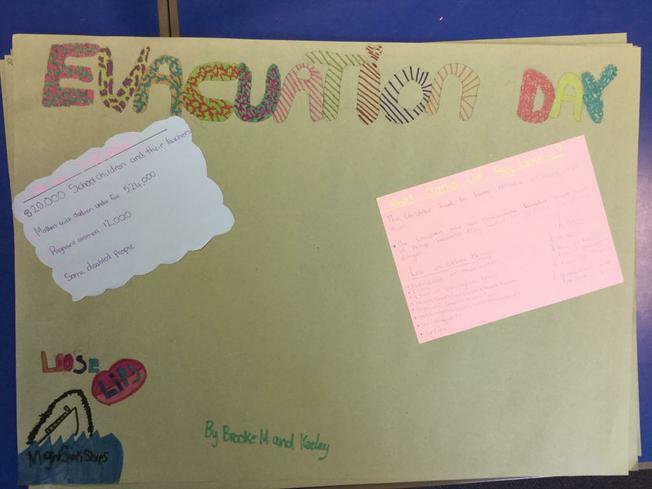 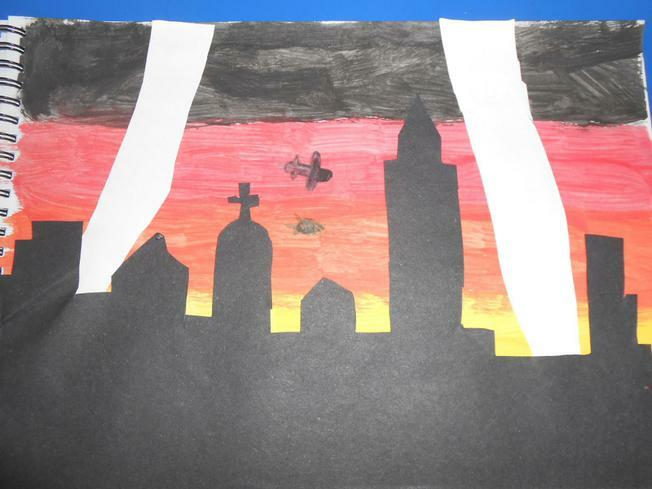 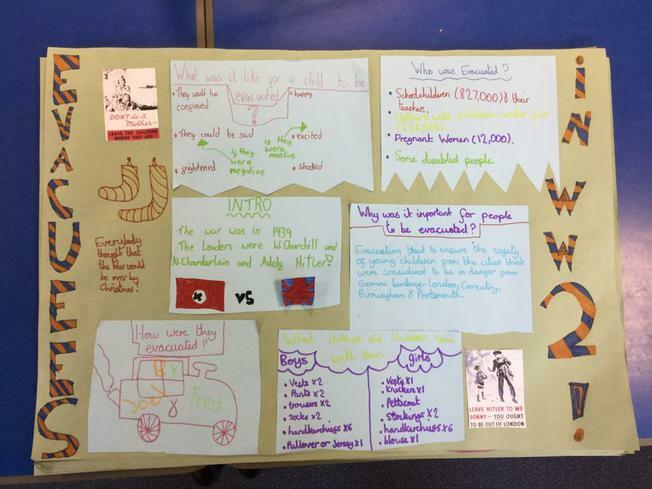 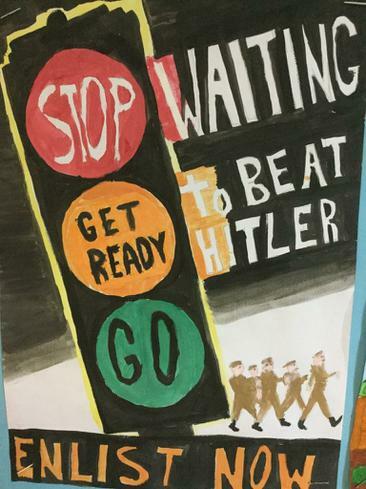 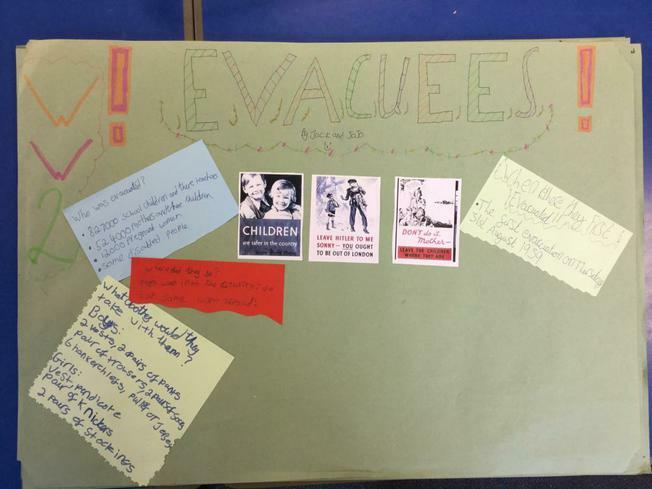 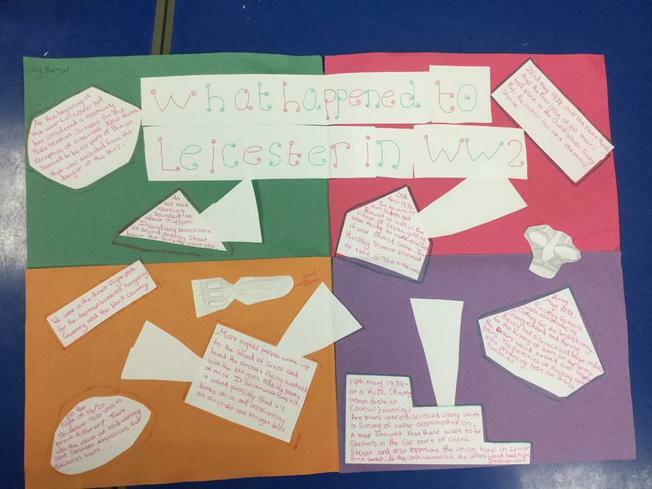 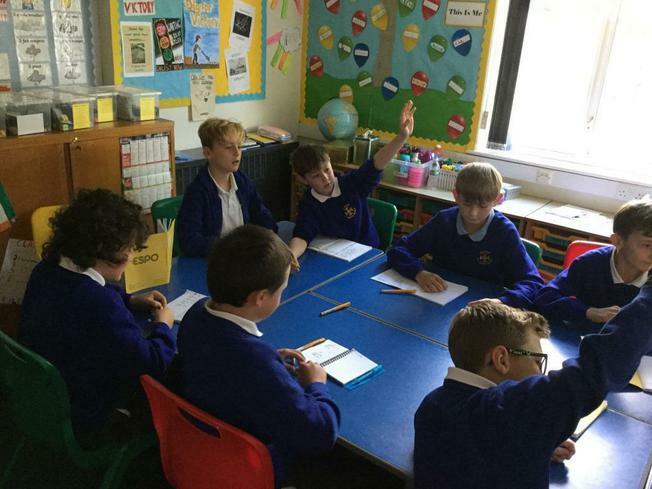 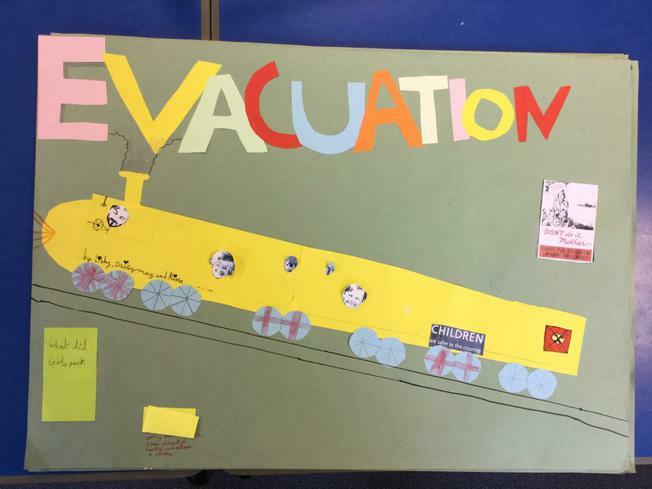 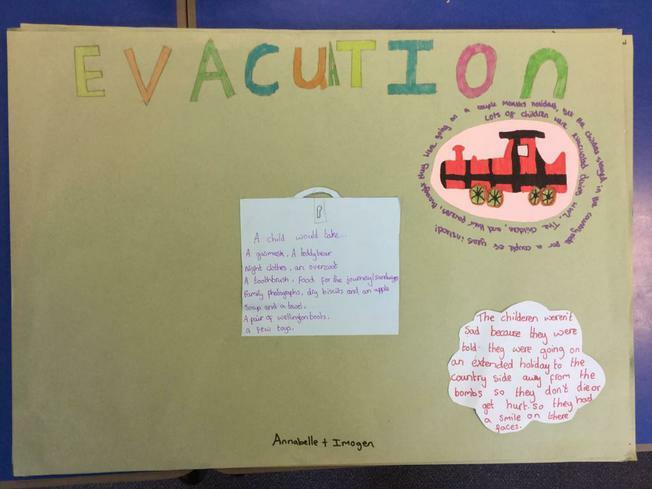 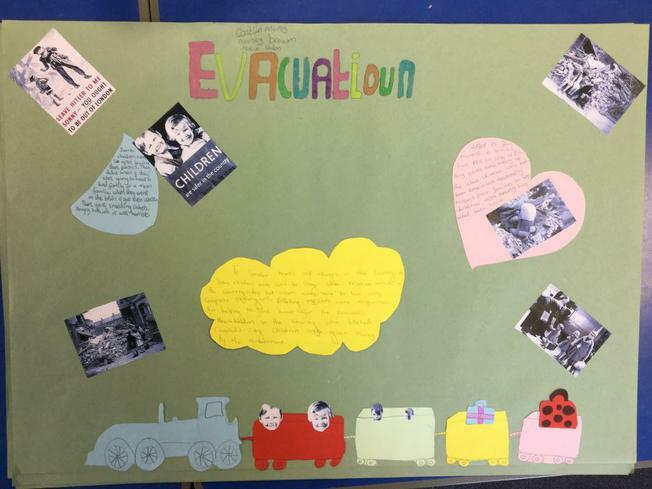 In Literacy this half-term, we have been studying the evacuation of children during World War II and considering how different groups may have felt about it. 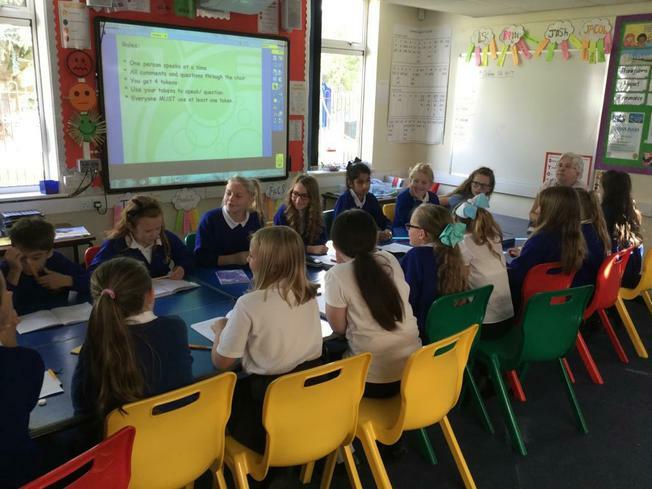 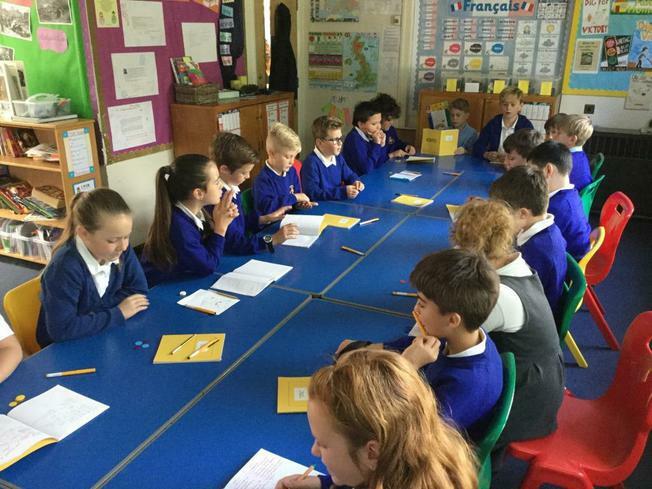 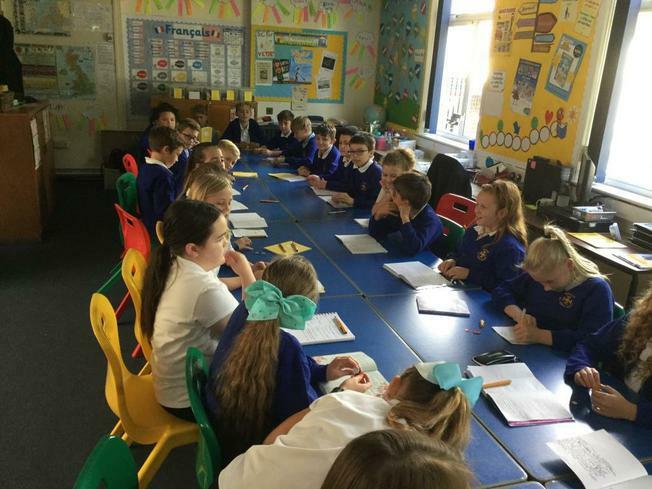 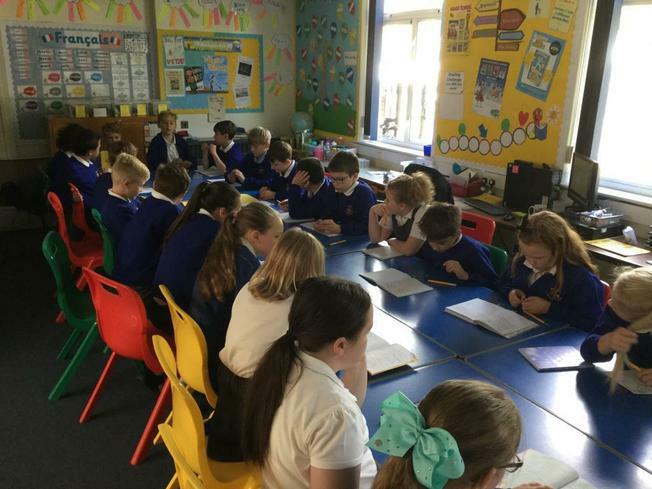 We started by conducting research to establish facts, then we held a class debate to explore different groups points of view and finally wrote our own balanced argument. 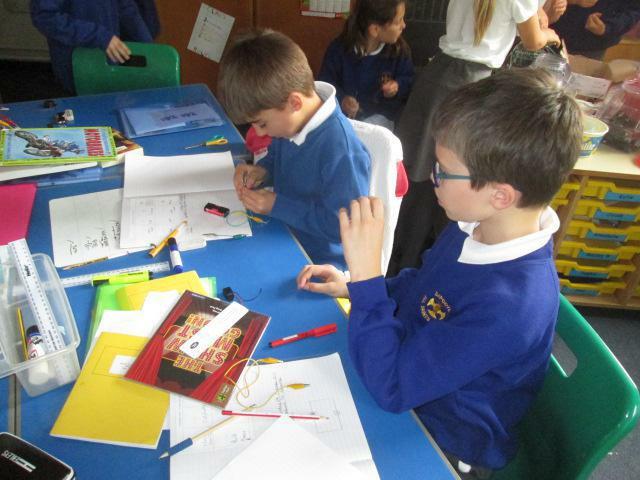 We have typed them up so that they can be published here. 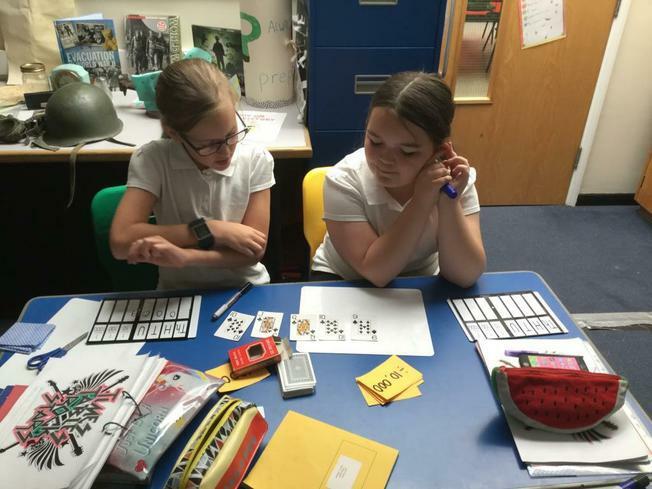 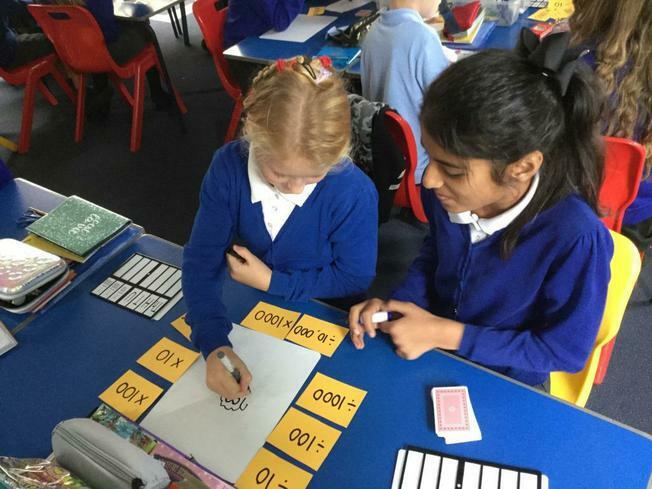 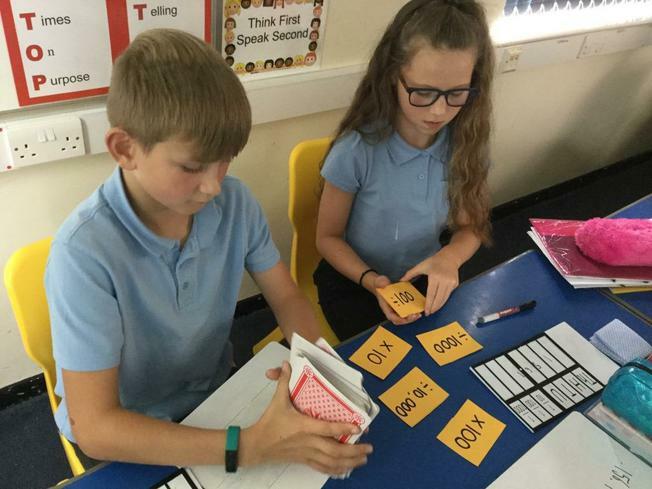 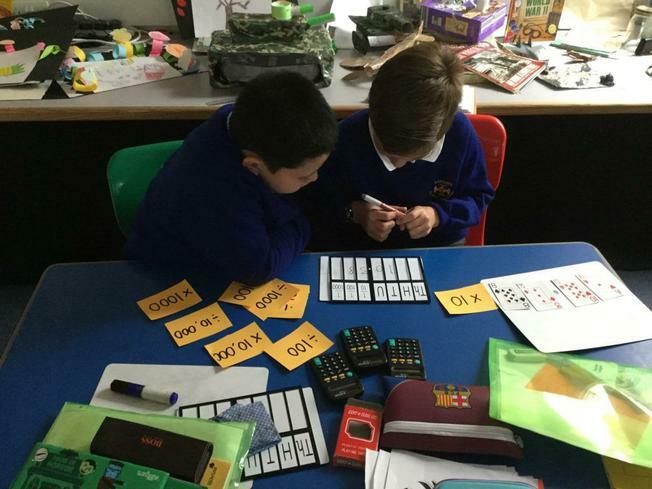 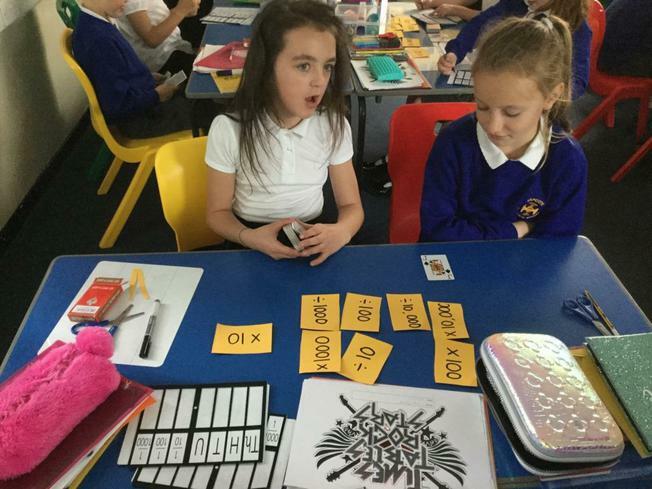 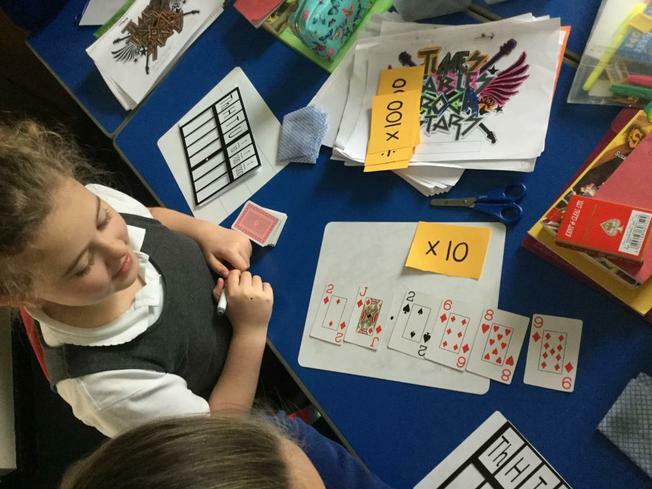 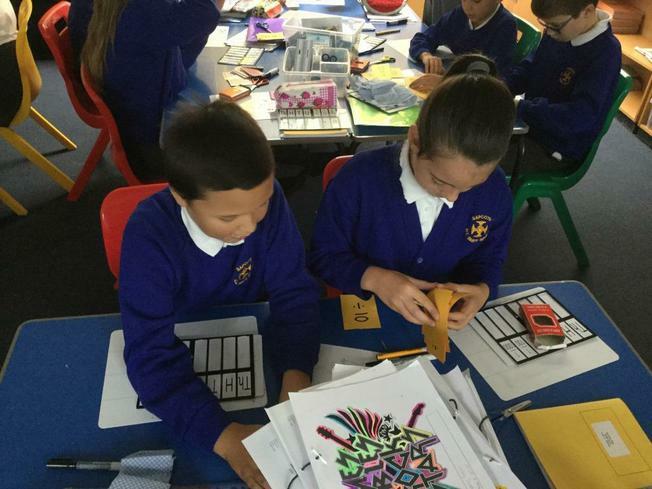 In Maths, we have studied the effects of multiplying and dividing by 10,100,1000 and 10,000, before moving on to apply this skill when multiplying large numbers. 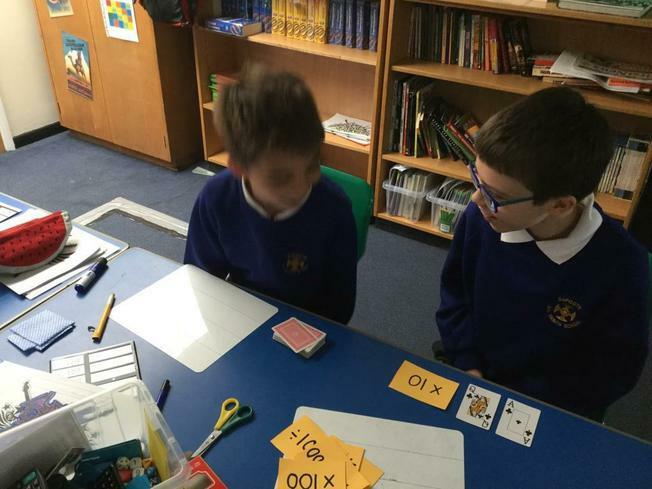 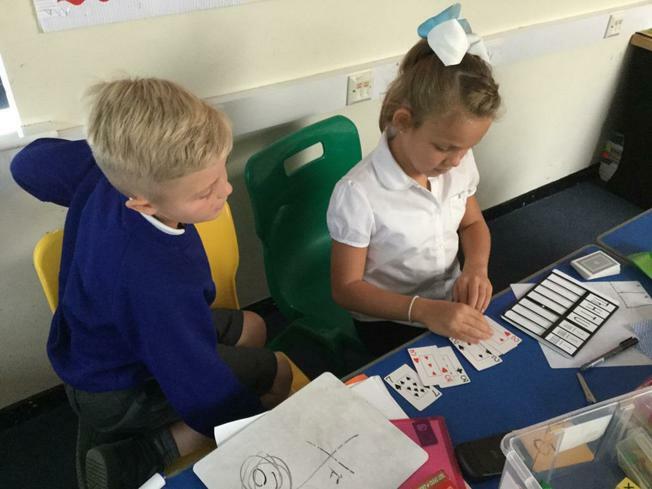 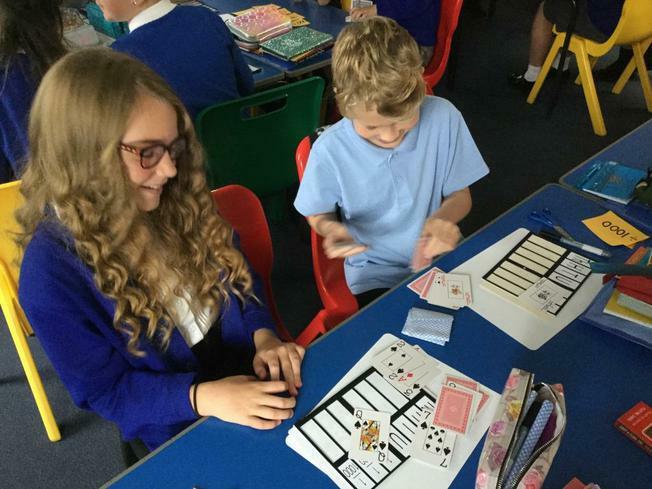 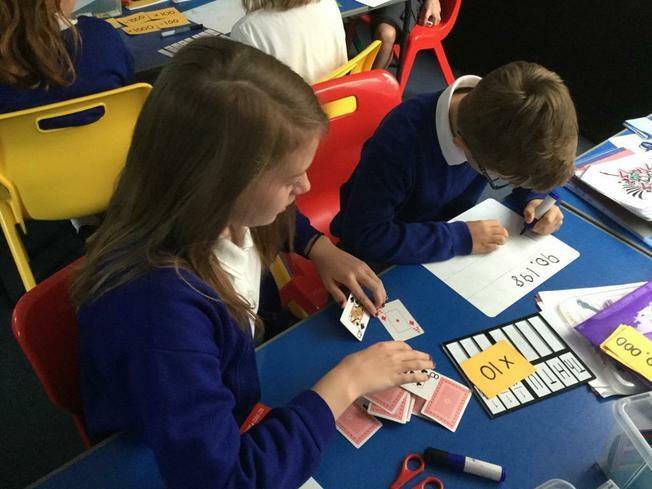 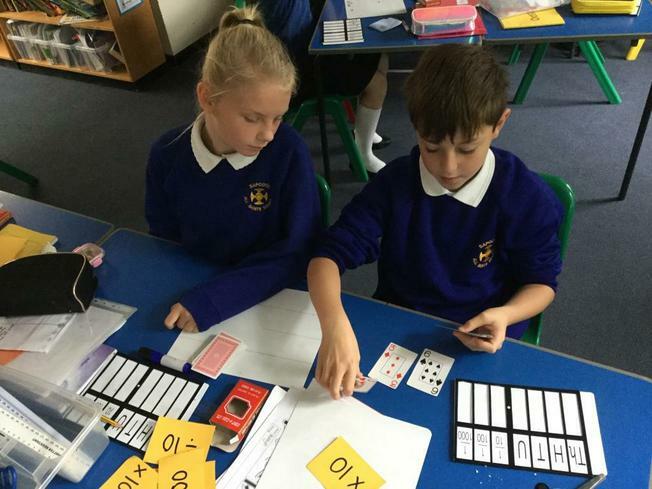 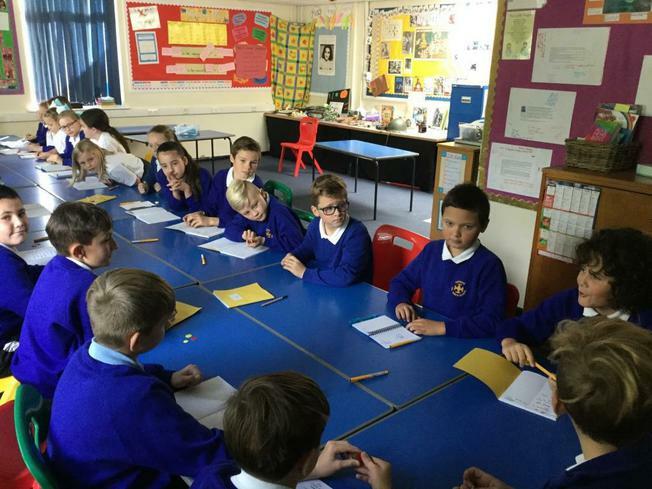 Here we played a card game to practise our skills.